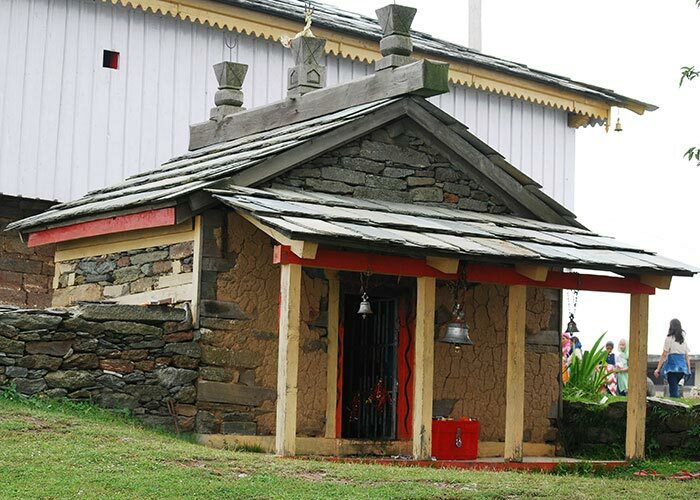 Bijli Mahadev is one of the sacred temples of the Indian state of Himachal Pradesh. It is located at an altitude of about 2,460m in the Kullu Valley. 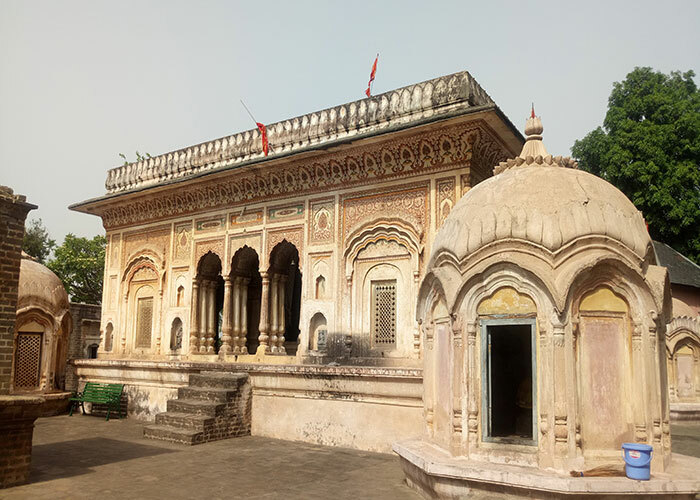 Bijli Mahadev is one of the excellent temples in India. Located 22 km from Kullu across the Beas river, it can be approached by a rewarding trek of 3 km. 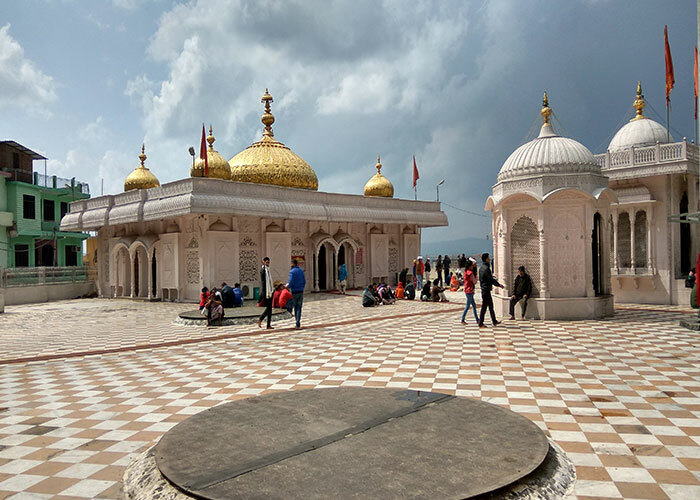 A panoramic view of Kullu and Paravati valleys can be seen from the temple. 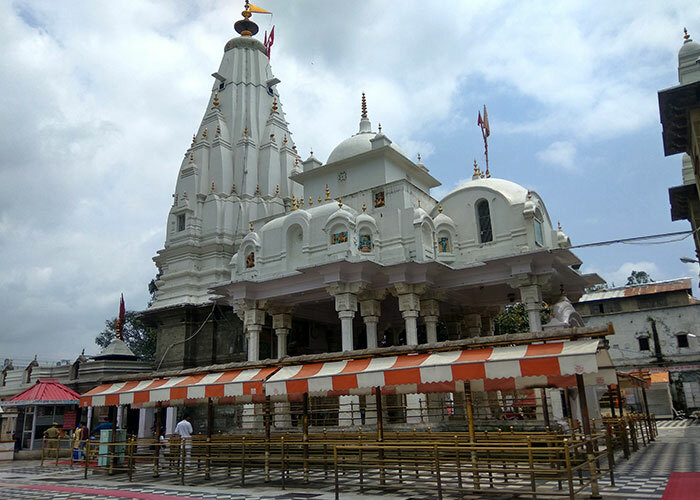 The 60 feet high staff of Bijli Mahadev temple glistens like a silver needle in the sun. 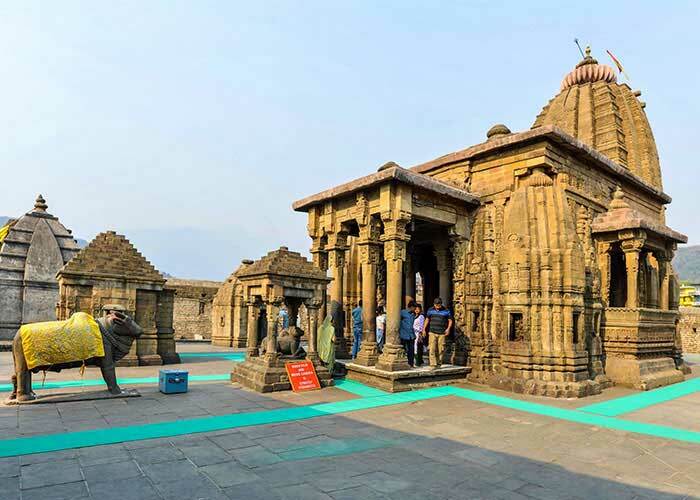 In this temple of lightning, it is said that the tall staff attracts the divine blessings in the form of lightning. 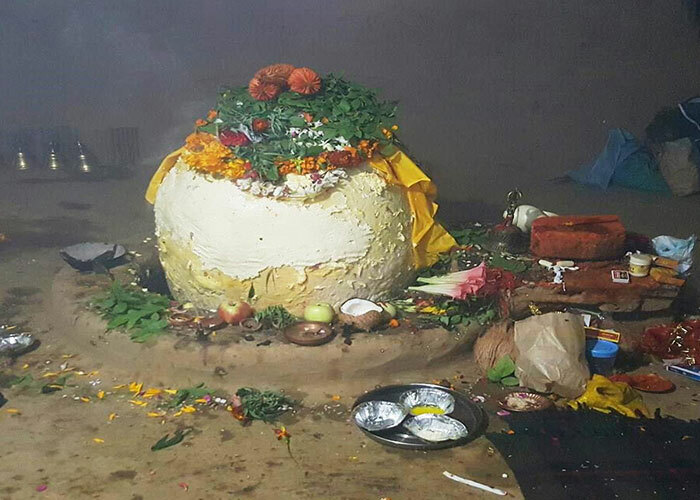 It is believed that the priest of the temple has to restore the Shiva-linga placed inside the temple using butter and sattoo after every lightning as its hatters to pieces with flash of lightning. 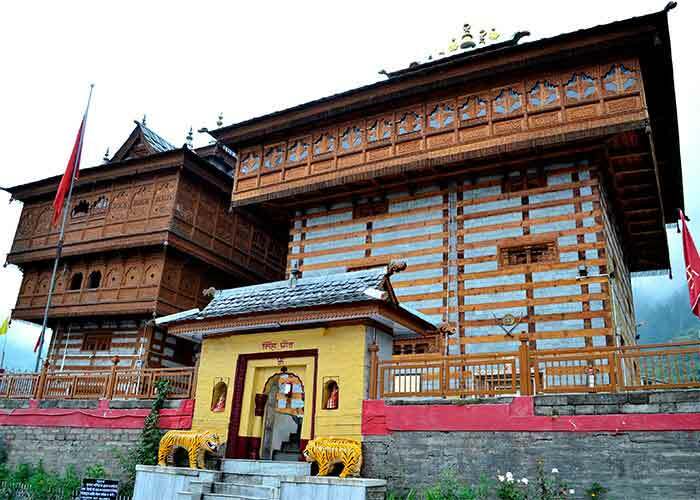 Bijli Mahadev temple front view Bijli Mahadev is located near Kullu (head quarters of Kullu district) in Himachal Pradesh state of India. 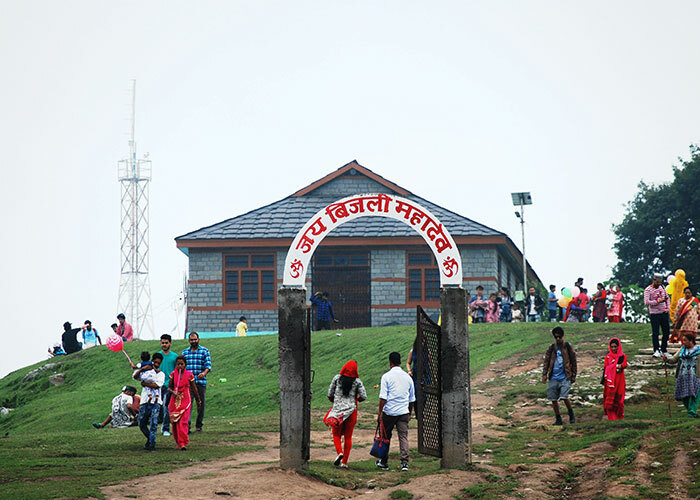 This is a hill station located at a height of 7500 ft. 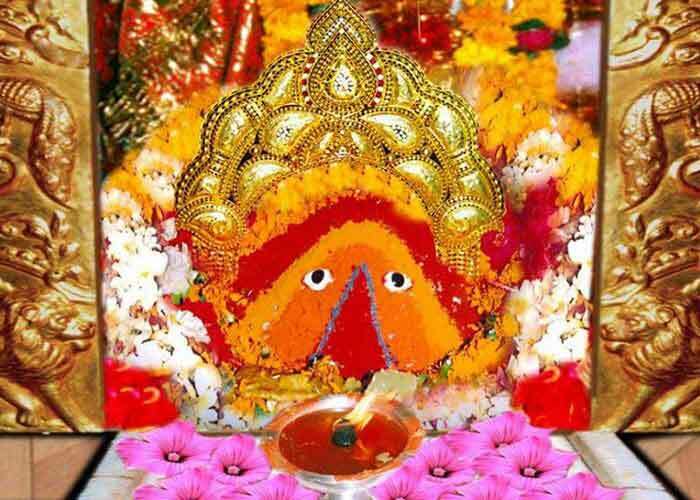 The name of the hill where Bijli Mahadev temple is situated is called Mathanand is surrounded by Parbati, Garsa, Bhunter and Kullu valleys. There is a Shiva templeon top of the hill. 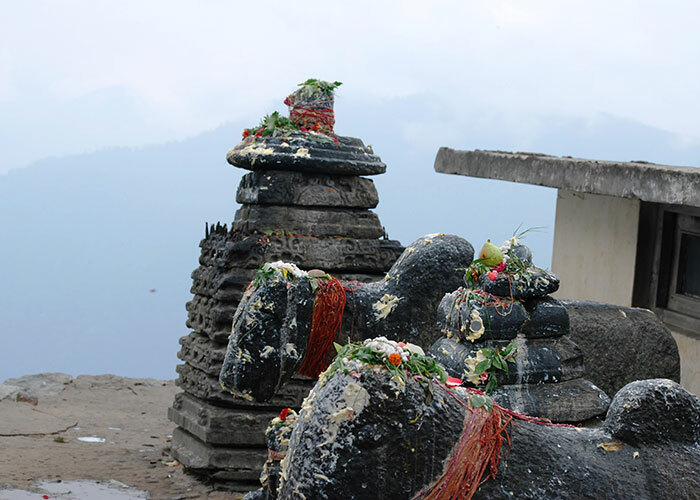 There is a small village just down below the temple and the name of the village is also called Bijli Mahadev. Location of Bijli Mahadev To go to Bijli Mahadev, one has to reach Kullu (district headquarters) first from Delhi or other places. Then, come to Ramshilla from Kullu which isvery nearby (approx. 1 Kms) and cross the bridge which is for crossing Beas river to go towards Bhunter or Manikaran. Just after crossing the bridge, ask any local person totravel towards Bijli Mahadev hill. The road is towards Bhuntar and one has to take left side road (instead of going straight which goes towards Bhuntar) to climb the hill. From Ramshilla motorable road is available till parking place which is 20Kms after Chansarivillage. From Chansari village parking place is 5Kms. Parking fee has to be given. Fromthis place 3-4 Kms trekking to be done to reach Bijli Mahadev. Trekking duration is 2-3hrs with 3-4 rest points. 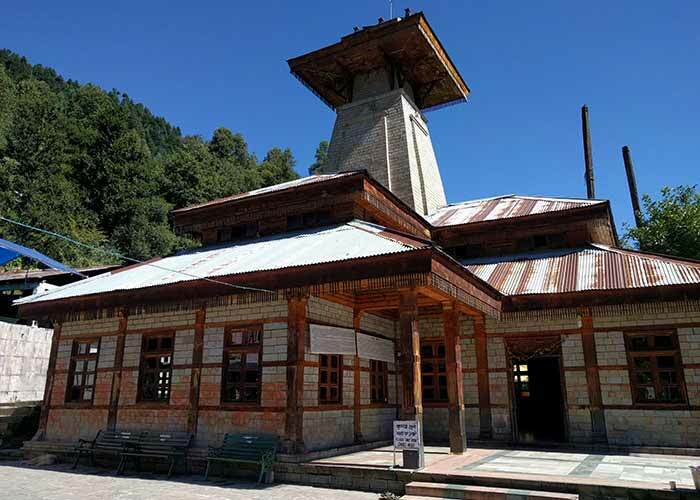 Himachal transportation buses available at Kullu bus station to reach Bijli Mahadev (up to Chansari or parking place before trekking place).Small shops are available for cool drinks and refreshments during trekking. Initialwalking is through a rough climbing and later good steps with normal height and planeareas are constructed. After climbing the steps, a plane area is available where localities have set up some private canteens. Good Chinese food, Momo is available here. There is a tank nearby which is the water source for the temple area.People who cannot trek, there is one more motorable road to reach Bijli Mahadev from Naggar side via Jana Waterfall. One has to reach Naggar from Kullu or Manali. Fromthis route, people will reach the temple directly. Motor cycles preferred for transportationin this route but small motor vehicles too can travel safely. This place is full of mystery and miracles. The name comes from the fact that, thelightening (Bijli) strikes the Shiva linga inside the temple and breaks into pieces. TheShiva ling (Mahadev) will be joined together and installed in a special occasion using alocally made adhesive. One can witness the charred part (especially on the walls) insidethe temple which is due to the flames resulted during lightning. Devotees can giveofferings in the Hundi only kept inside the temple. 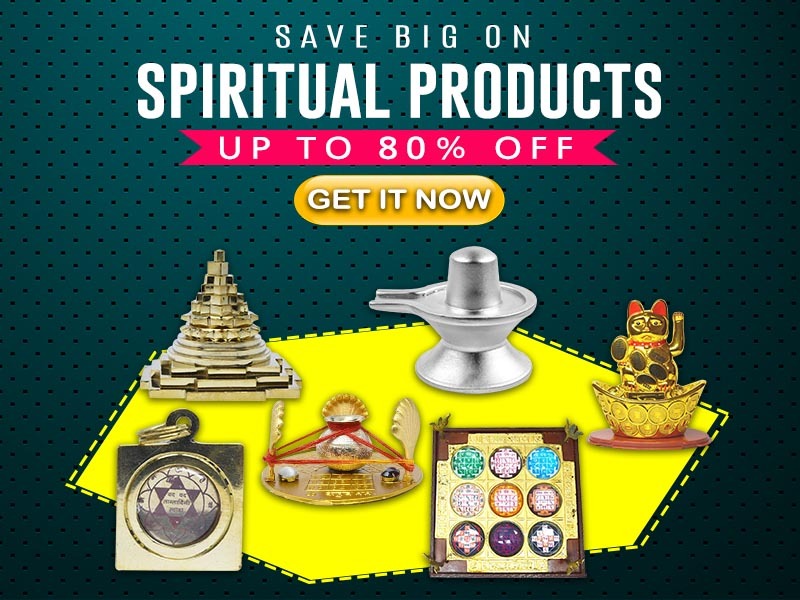 Some puja articles are availableinside the temple without any additional cost. Photography is not restricted anywhere inthe place.valley view from Bijli Mahadev temple Opposite to the temple there are small stonestatues situated and one can perform pooja there too. A 20mtr tall pole is installedwhich has got some interesting story. 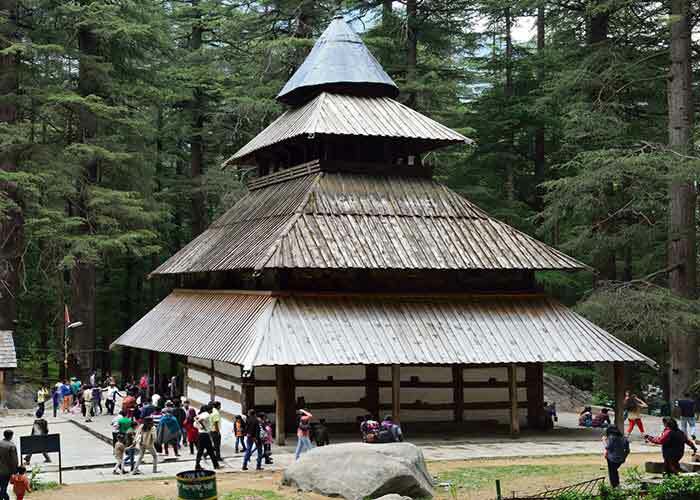 The pole is made of Deodar tree in a nearbyforest area. Once in a while during special occasions the pole will be replaced byanother one made from the tallest Deodar tree found in the forest. The local villagersand people from surrounding places come together to replace the pole and is a festivalcelebration for all of them. The tree is carved in the square shape and fixed firm in theplace. 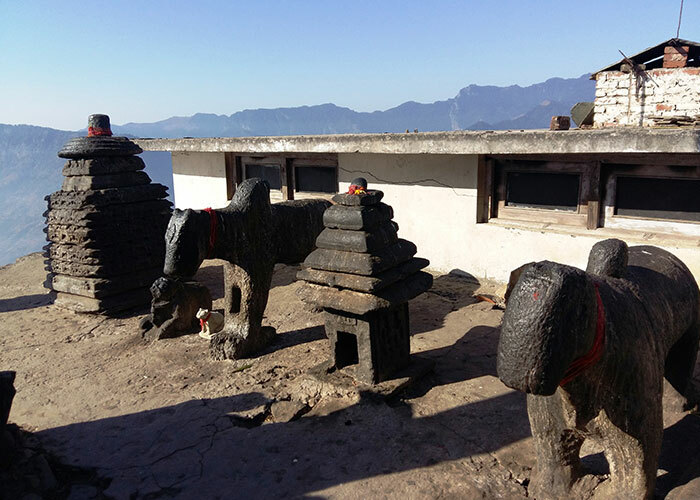 People feel that this is an opportunity for getting blessing from Lord Shiva andconsider this activity as serving God.The place is too scenic due to the location of the temple which is at the top most end ofthe Mathan hill. There are mobile towers beside the temple (downside) towards Parvativalley. BSNL and Airtel connections were working very well (as on May 2010). A newlyconstructed building is meant for accommodation (rest rooms) for the visitors just besidethe temple. There is no fixed price (rate not available) for the accommodation. 10people can stay at a time in the building. Free Tea is served for all the visitors.